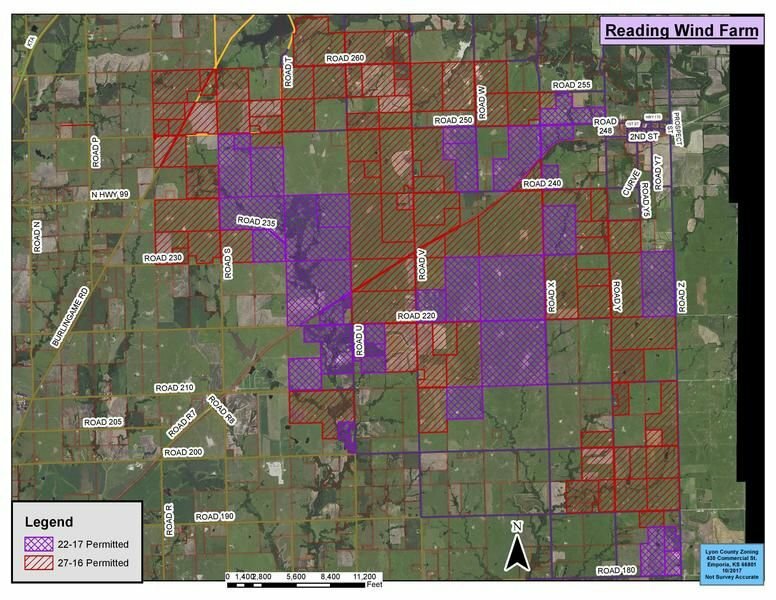 Map of the possible wind farm near Reading. 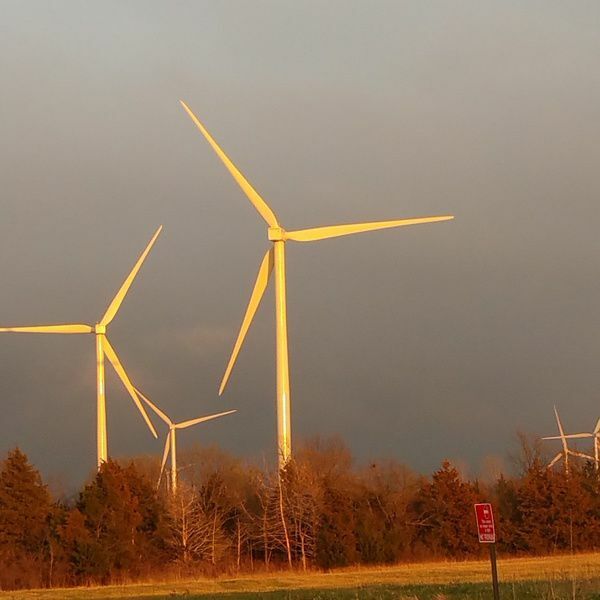 Members of the House Energy, Utilities and Telecommunications Committee, including Rep. Mark Schreiber of Emporia, have spent the last several days hearing testimony regarding wind farms. The committee heard testimony from proponents and opponents of a bill that would impose heavy restrictions on new wind energy developments across the state. The law would require a 1.5-mile cushion between residential homes and wind turbines. Currently, decisions regarding wind turbine placement are made by county commissioners in the areas where the turbines will be placed. Placement of turbines currently fluctuates between 600 feet from residential structures up to 1,500 feet. “County commissioners have been making those decisions and, in most areas, they have educated themselves well,” Schreiber said. Opponents of the bill provided testimony to the committee on Thursday. Opponents of the bill are concerned about how a 1.5-mile setback of turbines from residential structures would limit their ability to develop wind energy throughout the state. The committee members will now work the bill and vote today. If the committee votes in favor of the bill, it will proceed to the whole House. The bill will not impact any wind energy developments already in place or in the construction phase, like the development near Reading. “When you are talking about 1.5 miles from any residential structure, that takes up a considerable portion of land."